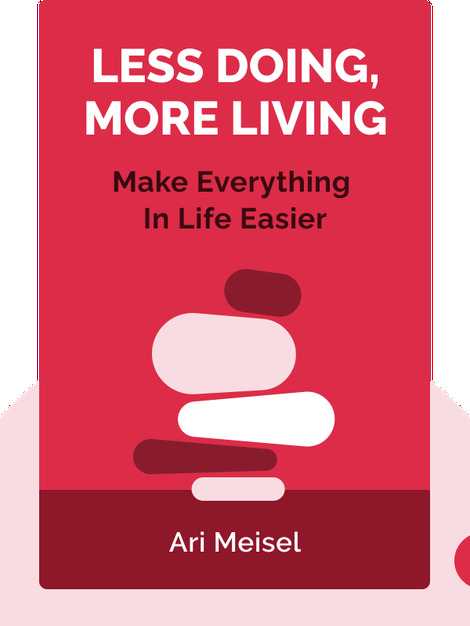 Less Doing, More Living (2014) guides you through nine fundamental steps on your journey toward becoming more effective. In these blinks, the author shares his favorite tools and techniques for optimizing, automating and outsourcing everything on that pesky to-do list, thus giving you time for the things that are most important in your life. 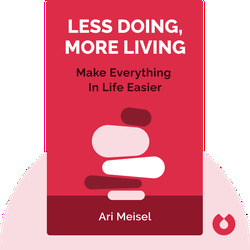 Ari Meisel is an author and entrepreneur. He advises businesses, leaders and others on how to add value to their endeavors and lives by employing effective time-management strategies.